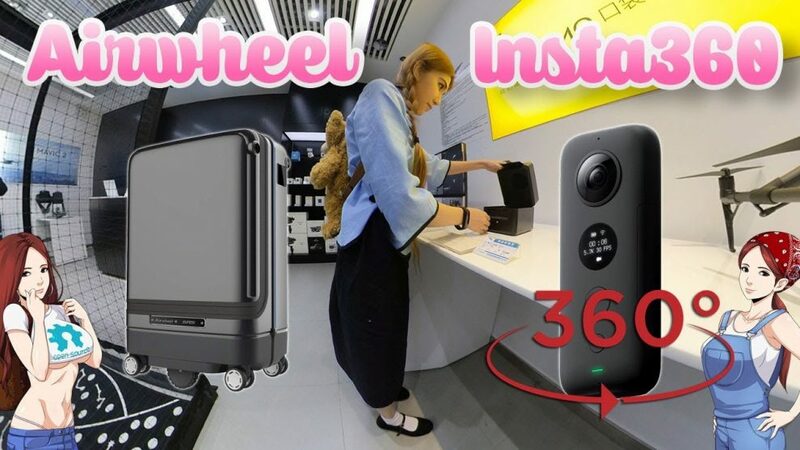 Popular YouTuber and maker SexyCyborg (Naomi Wu) posted a video showing an affordable way to get a remote control 360 camera dolly using a robot luggage. Naomi Wu, aka SexyCyborg, is one of the most famous people in the maker culture, known as much for her provocative and controversial attire as her DIY gadgets and 3D printing projects. She has also become a very popular YouTuber (with 800K subs at the moment). It’s easy to see her and immediately dismiss her as an intellectual lightweight but you would be dead wrong: she is brilliant, creative and 100% legit, a veritable expert maker. Incredibly, she is totally self-taught. 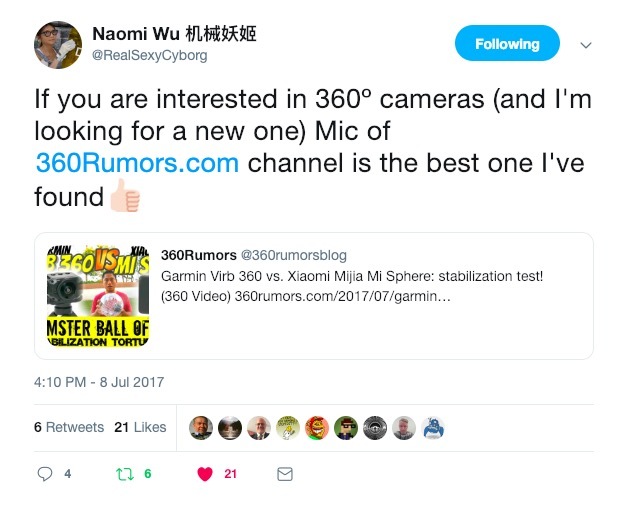 A little bit of 360R history: I first learned about Naomi on Twitter in 2017. Naomi found this site and recognized its value, tweeting a recommendation to her followers. She even generously offered to help me with any projects. We’ve since become online friends, and I’ve been impressed with her technological prowess in both building gadgets and programming. Naomi just posted a video that solves a common problem in 360 video: using a dolly. With conventional videos, dollies can be used to move the camera smoothly on a track. With 360 video, the track would be very visible in the shot, as would be a traditional dolly and dolly operator. Instead, for 360 video, creators have had to use radio-controlled dollies, which typically cost thousands of dollars, such as the Guru 360 Rover, or are even in the 5-digit range, such as the Mantis 360. I was surprised to see how well the Airwheel works as a 360 camera dolly. In addition, the appearance of the handle can be further minimized by lowering the handle and using the invisible selfie stick. Moreover, sandbags could be placed inside the luggage to give it better resistance to falling over. Any idea where this can be purchased? I tried their page on Alibaba but got no reply.